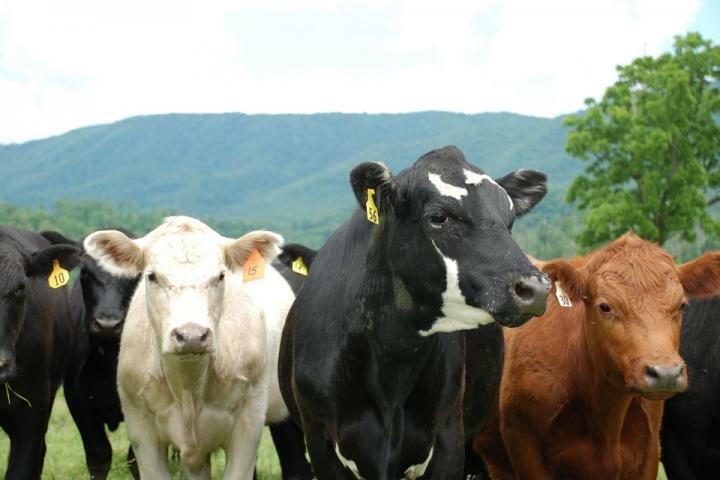 Credit: Photo of cattle on a Tennessee farm by T. Johnson, courtesy UTIA. KNOXVILLE, Tenn. — University of Tennessee Institute of Agriculture projections indicate that the signing of the Comprehensive and Progressive Agreement for Trans-Pacific Partnership (CPTPP) in March 2018 could disadvantage U.S. beef exports to Japan, a stumbling block that U.S. beef producers can ill afford. Beef-exporting countries party to the trade agreement, such as Australia, New Zealand, Mexico and Canada, will benefit from an immediate reduction and phase-down of tariffs from their current levels over a 15-year period. The U.S. was once a CPTPP member, but in January 2017, President Donald Trump signed a memorandum officially withdrawing from the trade agreement. Under the CPTPP, Japan agreed to significant tariff reductions on beef, with reductions from 38.5 percent to 9 percent for muscle cuts. Tariff reductions for select offal products will be phased out completely. Meanwhile, U.S. beef will continue to face tariffs of 38.5 percent to 50 percent, as well as a global safeguard tariff of 50 percent when imports exceed a specified level. Understandably, the tariff advantage for CPTPP countries has raised concerns in the U.S. beef industry about its future in Japan. Although the U.S. has free trade agreements with several CPTPP countries, it does not have one with Japan, which is the leading market for U.S. beef exports. In 2017, U.S. beef exports totaled $7.3 billion, with Japan accounting for more than 25 percent of this total. Projected import shifts due to tariff reductions are substantial. For chilled beef, lower tariffs appear to benefit Australian beef, at the expense of U.S. beef. The projection range suggests that Australian beef could increase by as much as $139 million, while U.S. beef could decrease by as much as $143 million. Although Canada, Mexico and New Zealand also face lower tariffs, the projected increase for these countries is small at $4 million. Australia also gains in the frozen beef market at $162 million. Prior to the bovine spongiform encephalopathy (BSE) ban in the early 2000s, U.S. beef exports were comparable to, and at times exceeded, Australian exports. Following the BSE ban, U.S. beef exports declined 74.7 percent, taking the industry eight years to rebound. While U.S. beef exports have since recovered, Australia now accounts for the greater share of Japanese beef imports. The research indicates that CPTPP will result in considerable increases in Australian beef exports to Japan, largely at the expense of U.S. beef. However, similar tariff reductions for U.S. beef could eliminate these negative effects and even result in an increase in beef imports from both countries. If the U.S. also received tariff reductions, the total benefit is $287 million, which is the avoided export loss of $70 million and the export gain of $217 million. UTIA research indicates that market access for U.S. beef in Japan is needed to counterbalance the effects of the CPTPP. "As exporting countries, other than the U.S., aggressively pursue free trade agreements or FTAs, U.S. agricultural sectors such as beef could be disadvantaged, if we stay out of the FTA game," says UTIA trade expert and Blasingame Chair of Excellence Andrew Muhammad. "Overall, the report highlights why it is important for the U.S. to stay engaged in international trade negotiations in order to maintain its competitive edge in global markets." The UTIA report, which was authored by Muhammad and his colleague Andrew Griffith, is available online as UT Extension publication W 656. At the farm level, higher tariffs will likely cause a decline in U.S. beef exports to Japan that could negatively impact returns to every segment of the industry, from the cow-calf producers to the packer. Alternatively, if the U.S. is able to establish a trade agreement with Japan that is identical to competing countries, then returns at the farm level should be influenced positively.